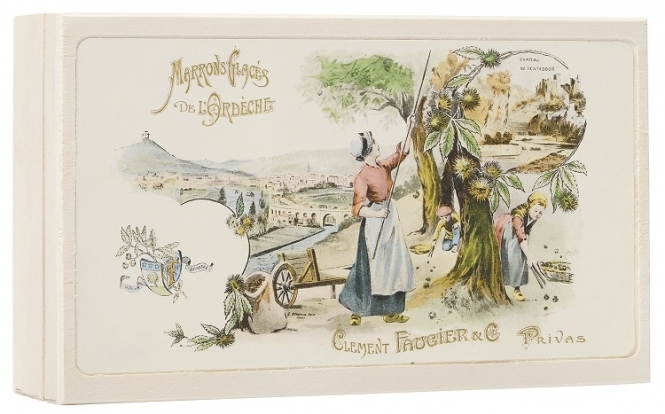 Marrons glacés are a French speciality, eaten at Christmas. The first ever manufacturer was Clément Faugier, at Privas in the Ardèche and the company has been making them since 1882. 95% of their production is sold in a fifteen day period at the beginning of December.